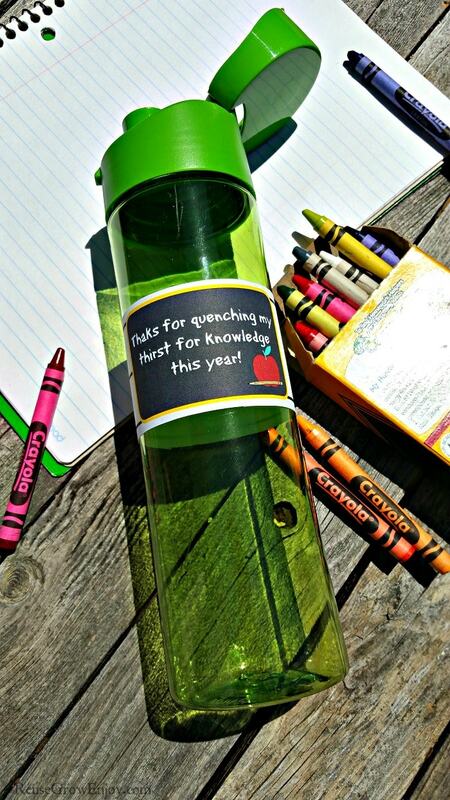 Giving a teacher a thank you gift is always a nice idea at the start or end of the school year. But if you have a few kids the price can add up fast. 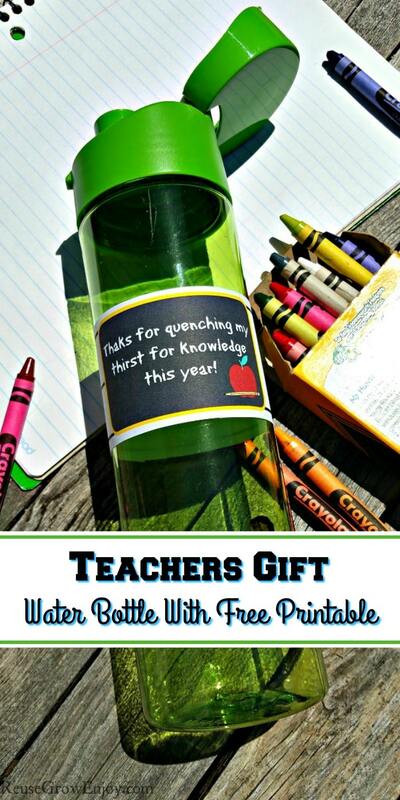 If you are looking for a budget-friendly teachers gift, be sure to check out this free printable water bottle label. You can find some pretty nice and cheap reusable water bottles on Amazon and even Dollar Tree. How nice you go with all depends on your budget. Each page you print will do four water bottles. These are printed on a normally 8.5 x 11 sheet of paper. This is what the printable will look like. Print the PDF out and then cut them apart using scissors or a paper trimmer. I actually find it easier with a paper trimmer and you get more even cuts. Then simply wrap it around the water bottle and glue or tape it in place. 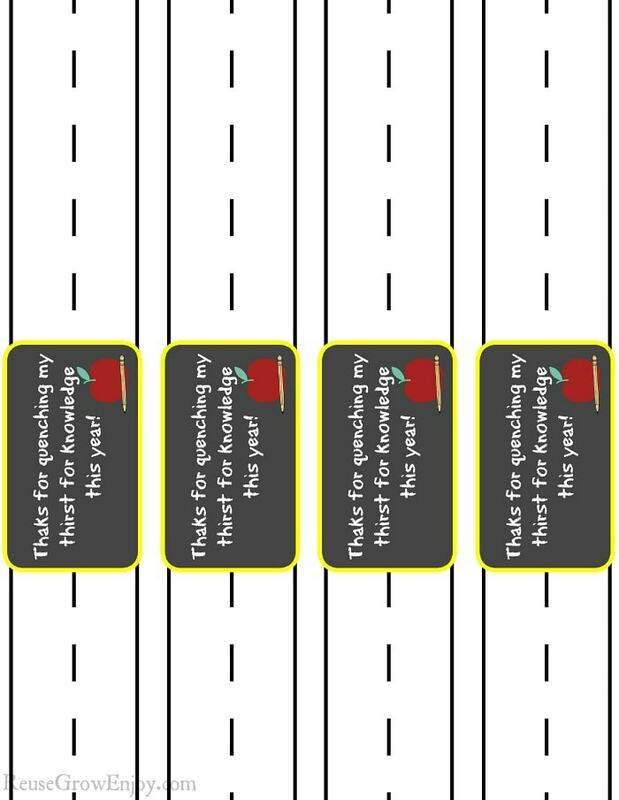 Do you like to give a teachers gift at the start of the year, end of the year or both? Do you have a budget-friendly teacher’s gift that you like to give? I would love to hear it in the comments below. If you like this teacher gift idea, here are a few others to check out.